With a GDP growth of 2 per cent in 2017 (compared to 1.1 per cent in 2016, 1.2 per cent in 2015, 0.2 per cent in 2014 and 0.3 per cent in 2013), restructuring and insolvency activity in France continued to decrease, broadly speaking, in 2017 compared to previous years. A total of 54,5722 insolvency proceedings (safeguard, rehabilitation and liquidation proceedings, see Section II) were opened in 2017 (down 5.8 per cent compared with 2016), which represents one of the best performances of the French economy since the global recession of 2008–2009. Moreover, the bulk of these proceedings relate to very small enterprises as only 2,921 insolvency proceedings were opened for SMEs and bigger enterprises, a 3.3 per cent decrease compared with 2016 and a 12.8 per cent decrease compared with 2015. In this context, the industries that have faced the most restructuring issues are the food and agricultural sector, the oil and gas sector, because of the continuing slump in energy and commodity prices, as well as the retail and tourism sectors (restaurants, carriers and hotels) because of sluggish household consumption, poor weather conditions and the geopolitical background (and, notably, the aftermath of the terror attacks of November 2015 and July 2016). As in 2016, restructuring and insolvency activity continued to witness a decrease of failing LBOs in 2017 (compared to the 2008–2010 and 2012–2014 rounds of restructuring). However, in 2017 bankruptcy practitioners have dealt with a surge in sizeable and complex restructuring matters, including for listed companies, compared to the previous years. In addition, 2017 saw the implementation of numerous total or partial sale plans in rehabilitation proceedings to transfer the business and assets of companies for which restructuring options were or proved impossible or that needed to scale down their operations (see Section IV). Turnaround funds have also been very active in this period and participated in most of these court-monitored auctions. French bankruptcy law was extensively reformed in 2005 to promote reorganisation at a preventive stage and prompt creditors to take a more active role in pre-insolvency and insolvency proceedings, essentially through creating a safer environment for them to extend new credit facilities during both pre-insolvency and insolvency phases. The major innovation was the creation of safeguard proceedings, which are intended to enable debtors that are in financial distress, but not yet insolvent, to reorganise and restructure under the court's protection (essentially with a stay of enforcement actions, subject to very few exceptions) and negotiate a consensual restructuring plan with creditors. French bankruptcy law has been regularly amended since 2005 and an ordinance dated 12 March 2014 (the 2014 Ordinance) reformed the bankruptcy law, with a view to favouring reorganisation at a preventive stage, strengthening the efficiency of out-of-court proceedings and increasing the rights of creditors in insolvency proceedings. In addition, a bill dated 6 August 2015 (the 2015 Bill) introduced the possibility, under certain conditions, of squeezing out the shareholders of a bankrupt company in rehabilitation proceedings. Bankruptcy law was also slightly reformed in 2016 so as to improve certain technical provisions regarding insolvency proceedings and in 2017 in order to take into account the entry into force of Regulation (EU) 2015/848 of the European Parliament and of the Council of 20 May 2015 on insolvency proceedings (Recast) that is applicable to insolvency proceedings to be commenced after 26 June 2017.
court-monitored bankruptcy proceedings: safeguard (as well as pre-packaged safeguard proceedings), rehabilitation proceedings and liquidation proceedings. The main provisions of each of these proceedings are set out below. Ad hoc proceedings are flexible, voluntary and confidential proceedings in which the president of the court appoints an agent to carry out appropriate tasks. In practice, these proceedings are used to organise informal negotiation between a company and its major creditors under the supervision of the court-agent. Only the company's legal representative can file a petition to the president of the court. It is usually considered that ad hoc proceedings are available to solvent3 companies only, but there have been some recent precedents where ad hoc proceedings were opened for insolvent companies (but for a very short period of time only). Major creditors are invited to consider debt rescheduling, cancellation and new money injection. In addition, the main shareholders can be invited to negotiate and potentially recapitalise the company. A debt-restructuring agreement accepted by some creditors cannot be imposed on other dissenting creditors, as the process is consensual and no cramdown can be imposed. In practice, majority rules provided for in the existing credit documentation (loan, bond, etc.) apply. In addition, the opening of ad hoc proceedings does not trigger any automatic stay. However, the debtor can apply for a moratorium (for a maximum of two years) if any creditor attempts to enforce its rights while ad hoc proceedings are pending. Under the 2014 Ordinance, ipso facto provisions are now deemed null and void in ad hoc proceedings: creditors are, therefore, prohibited from accelerating a loan, or terminating an ongoing contract, by the sole reason of the opening of ad hoc proceedings (or of any filing for that purpose). More generally, any contractual provision increasing the debtor's obligations (or reducing its rights) by that sole same reason is also null and void. If an agreement is reached between a company and its creditors, the agent's duties end. If there is no solution to the company's financial difficulties and it later becomes insolvent then the only option is to initiate insolvency proceedings. Conciliation proceedings are also flexible, voluntary and (to a certain extent) confidential proceedings that, under the supervision of a court-appointed agent, aim at facilitating negotiations between the company and its major creditors, and reaching a workout agreement that sets out the terms and conditions for the restructuring of the existing debt (waiver, rescheduling, etc.) and, if any, new loans extended by creditors or shareholders. Since the 2014 reform, the court-appointed agent may be entrusted with the mission to arrange a pre-packaged sale of a business in conciliation proceedings, the sale of which could ultimately be implemented in safeguard, rehabilitation or liquidation proceedings. The debtor company must face legal, economic or financial difficulties (whether actual or foreseeable) so as to benefit from conciliation proceedings. Conciliation proceedings are available to solvent or insolvent companies provided they have been insolvent for less than 45 days before the petition is filed. Conciliation proceedings are opened by the president of the court for a maximum period of four months, which can be extended to five months in total at the agent's request. The management must cooperate with the court-appointed agent and the major creditors to negotiate a solution to the company's difficulties. The court agent does not have any management responsibilities. There are no restrictions on business activities. Trade creditors and major shareholders can also be invited to take part in the negotiations. Social and tax authorities can be asked to consent to a debt-rescheduling plan or a cancellation of debts. 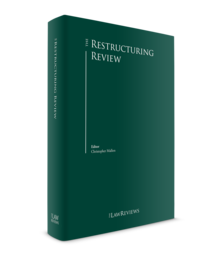 As in ad hoc proceedings, a restructuring workout accepted by some creditors cannot be imposed on other dissenting creditors in conciliation proceedings (subject to the opening of accelerated safeguard or accelerated financial safeguard). Majority rules provided for in the existing finance documentation will apply. Even though the opening of conciliation does not trigger any automatic stay, the court can force any creditor that attempts to enforce its rights while conciliation is pending to accept a two-year maximum moratorium. As in ad hoc proceedings, creditors are prohibited from accelerating a loan, or terminating an ongoing contract, by the sole reason of the opening of ad hoc proceedings (or of any filing for that purpose). More generally, any contractual provision increasing the debtor's obligations (or reducing its rights) by that sole same reason is also null and void. the parties can obtain a simple acknowledgment from the president of the court. This option does not involve publicity, but implies that the creditors, having granted new money facilities in the framework of such conciliation proceedings, waive their right to priority of payment and, more generally, to protection against the risk of clawback in the future. Safeguard proceedings allow companies that, though still solvent, face difficulties that they cannot overcome, to be restructured at a preventive stage under the court's supervision. Safeguard proceedings have three objectives in the following order of priority: (1) to allow the company's business activities to be continued; (2) to preserve jobs; and (3) to repay creditors. To open safeguard proceedings, the company must be solvent, but facing difficulties that cannot be overcome. In the Coeur Défense case, the Supreme Court held that no restriction should apply to the concept of 'difficulty' justifying the opening of a safeguard. In particular, to be granted the benefit of safeguard court protection, the debtor cannot be requested to characterise such difficulty as affecting its business activities. In that particular case, the Court ruled that the necessity for the debtor to renegotiate, in the case of an event of default, the terms and conditions of a loan may constitute a difficulty allowing such debtor to petition for safeguard proceedings. The 2016 reform specified that if it appears that the debtor's difficulties could be overcome, the court must invite the debtor to request the opening of conciliation proceedings before ruling on the opening of safeguard proceedings. If the company is insolvent or becomes insolvent after the opening of safeguard proceedings (that is, the company is unable to pay its due and payable liabilities arising post-filing), the court orders the proceedings to be converted into rehabilitation or liquidation proceedings. Safeguard proceedings begin with an observation period of up to six months to assess the company's financial position. This period can be extended once for six months, and in exceptional circumstances, can be further extended at the public prosecutor's request for an additional six months. During this period, any decision that does not fall within the scope of day-to-day management must be approved by the bankruptcy judge. The bankruptcy judge must also approve any decision to settle pending disputes. Once safeguard proceedings have been ordered by the court, there is an automatic stay of all creditor payment actions – subject to few exceptions (and notably claims secured by a security interest conferring a retention right, claims secured by a fiduciary agreement and set-off of related claims) – against the main debtor and individuals acting as guarantors and joint debtors, but not against companies acting as guarantors or joint debtors. Hence the need, when group companies are acting as guarantors, to have all of them, as well as the main debtor, placed under court protection. Interest for loans with a duration of one year or more, or for contracts having a deferred payment of one year or more, will continue to accrue but cannot be paid cash when due, and will be restructured as part of the safeguard plan. The general outcome of safeguard is the approval by the court of a safeguard plan that can involve debt restructuring, recapitalisation of the company, debt-for-equity swap, sale of assets and a partial sale of the business. The safeguard plan cannot include a proposal to sell the business as a whole. bondholders (gathered into one single class, regardless of the currency or applicable law of the various bond indentures). Each member of the creditor classes must inform the court-appointed administrator of the existence of any subordination agreement, agreement restricting or conditioning its vote and agreement allowing for third-party payment of the debt. The administrator must then submit a proposal for the computation of its voting rights to the relevant class member. If there is disagreement, the concerned class member can petition the president of the court through motion proceedings. To reinforce creditors' role (so far reduced to making mere suggestions to the administrator), the 2014 Ordinance provides that any member of the committees (that is, financial institutions or major trade creditors, but not bondholders) can submit an alternative safeguard plan competing with the plan prepared by the debtor. The plan is deemed approved by the classes if a two-thirds majority of the creditors (in value) in each class votes in favour of the plan. If the plan provides for a debt-equity swap (or any other operation requiring shareholder approval), shareholders must also be consulted and vote in favour of the plan at a two-thirds majority (no cramdown of shareholders is possible in safeguard). However, the majority applicable to shareholder meetings convened on first notice can be reduced by court order to a simple majority of the shareholders present or represented, provided they represent at least 50 per cent of the voting shares. Social and tax authorities are not members of the classes; they are invited to negotiate and can grant a debt rescheduling or cancellation. If classes of creditors are not set up, or if one of the classes rejected the draft plan, the plan must be negotiated on a one-to-one basis with each creditor. If the creditors consulted individually refuse to approve the draft plan prepared by the company, the court can impose a 10-year maximum term-out to dissenting creditors. However, this 10-year maximum term-out is without prejudice to any longer maturity date agreed in the original loan agreement. Consenting creditors benefit from the shorter maturity date (if any) that they would have negotiated. The court cannot impose any debt-to-equity swap or debt write-off of principal or interest claims in a term-out scenario. The yearly instalments under the term-out plan must not, after the third year following court approval of the plan, be less than 5 per cent of the total admitted pre-filing liabilities, except if the contract initially provides for a longer maturity date. Once approved by the court, the safeguard plan is enforceable against all members of the creditors' classes (financial institutions, trade creditors and bondholders), including the dissenting minority. Upon the approval of a safeguard plan, the court appoints an agent to supervise its implementation. If the company fails to meet its obligations under the plan and becomes insolvent, the court must order the plan to be cancelled and initiate rehabilitation proceedings or, if the rescue of the company appears obviously impossible, liquidation proceedings. the company must have prepared a draft plan in conciliation likely to receive sufficient support from its creditors. The opening of accelerated financial safeguard proceedings only has effects in relation to financial creditors and, as the case may be, bondholders (therefore, excluding trade creditors from the process). Financial institutions and, as the case may be, bondholders, must approve the restructuring plan at a two-thirds majority in each class. The accelerated financial safeguard process must be completed within one month, renewable once for a maximum of one month. In accelerated safeguard proceedings, all pre-filing creditors are included in the process (including trade creditors). The class of financial institutions, the class of major trade creditors (and as the case may be, the class of bondholders) are invited to vote on the plan proposed by the company at a two-thirds majority in each class. The accelerated safeguard process must be completed within a maximum of three months from the date of the opening judgment. If creditors refuse to approve the pre-packaged plan, the court closes the proceeding and, if the company becomes insolvent, orders the opening of rehabilitation or liquidation proceedings. Rehabilitation proceedings are the appropriate remedy if the company is insolvent (from a cash flow standpoint) but rescue does not appear to be impossible. Any company must file for rehabilitation (or, as the case may be, liquidation if there is no prospect for recovery) no later than 45 days from the date on which it becomes insolvent (provided that conciliation proceedings are not pending). The objectives of rehabilitation proceedings are the same as for safeguard proceedings. Rules applicable to the observation period, the automatic stay and classes of creditors are also the same as in safeguard (with some exceptions, notably regarding shareholder consent). In rehabilitation proceedings, the court-appointed administrator can simply assist the management to make decisions or can be appointed to take control of the company's management in whole or in part. Any decision that does not fall within the scope of day-to-day management must be approved by the bankruptcy judge. The bankruptcy judge must also approve any decision to settle pending disputes. There are two main possible outcomes for rehabilitation proceedings: a rehabilitation plan, where the same principles apply as in a safeguard proceeding; and a sale plan, where unlike in safeguard proceedings, should the debtor prove unable to present a sustainable restructuring plan (as the case may be a term-out plan), the court can authorise the administrator to auction the business as a whole or in part. Creditors (except for limited exceptions, e.g., creditors benefiting from a retention right) have no say on the choice of the purchaser, which is made by the court when approving the sale plan. No credit bid is allowed (there are some precedents, but in exceptional circumstances, e.g., pure SPV with no employees and only one creditor benefiting from a security interest over the quasi-sole asset). The 2014 Ordinance introduced a limited possibility to have a court-appointed agent vote at shareholder meetings which was further amended in 2016: if the insolvent company's net equity is not restored and the shareholders have refused to increase the company's equity to at least half of its share value (which is a legal requirement in France), the administrator can petition the court to appoint an agent in charge of convening the shareholder meeting and to vote, on behalf on the dissenting shareholders, on the recapitalisation of the company for the amount suggested by the court-appointed administrator, when the draft plan provides for a change in the share capital in favour of one or several committed investors. a share capital reorganisation is the only solution to allow business activities to continue (a partial or total sale of the company's assets must be contemplated before allowing such squeeze-out). Liquidation is the appropriate remedy when the company is insolvent and its rehabilitation appears to be impossible. The aim is to liquidate a company by selling its business, as a whole or by branch of activity, or by selling its assets one by one. Liquidation is the only possible outcome when a rehabilitation is attempted without success. Creditors are, as far as possible, repaid according to their rank and privilege out of the proceeds of the sale of the company's business or assets. Liquidation proceedings trigger an automatic stay of proceedings against the company. All pre-filing creditors are barred from enforcing their rights to seek payment from the debtor, subject to some exceptions (the same as those applicable in safeguard and in rehabilitation). In a liquidation (unlike a safeguard or in rehabilitation), secured creditors benefiting from a pledge can also enforce their security interest through a court-monitored allocation process, that is, request the court to be transferred ownership of the pledged assets. Liquidation proceedings last until the liquidator finds that no more proceeds can be expected from the sale of the company's business or assets. After two years (calculated from the judgment ordering liquidation), any creditor can request the court to order the liquidator to wind up liquidation proceedings. There is a simplified form of liquidation proceedings available for small businesses, which lasts for a maximum of one year. Liability can arise in liquidation where, as a result of management errors (other than mere negligence), a company's assets do not cover its debts: an action for mismanagement, which only applies in liquidation proceedings, can lead to an insolvent company's management being liable for all or part of its debts. This liability can extend to formally appointed directors or managers with representation powers, and to any individual or entity that is not officially a director or manager but that has repeatedly influenced the company's management or strategic decisions (that is, shadow (de facto) directors or managers). A parent company can also be held liable for an insolvent subsidiary's debts if it has been appointed as a director or is deemed a shadow director or manager of that subsidiary (e.g., through an individual appointed at the shareholders' request). The liquidator or the prosecutor can initiate the action. In addition, the majority of the supervising creditors (which would have been appointed by the court to assist the liquidator) can summon the liquidator to bring an action or commence proceedings on their own initiative if the liquidator does not do so after such summoning. Directors found liable for certain specific breaches can be (independent of any liability action or criminal prosecution based on the same facts) forced to assign their equity interest in the company and prohibited from managing any business for up to 15 years, and holding any public office for up to five years. fraudulently increasing the company's debts. In rehabilitation or liquidation only (but not in safeguard proceedings), any transaction entered into during the hardening period (including transactions entered into with members of the same corporate family) can be subject to clawback provisions. The hardening period runs from the date when the company is deemed insolvent, and can be backdated by the court by up to 18 months before the insolvency judgment. If rehabilitation or liquidation proceedings are preceded by a pre-bankruptcy conciliation workout, the insolvency date cannot be backdated to a date before the court order approving the workout agreement. any declaration of non-seizability filed by the debtor, under Article L526-1 of the Commercial Code. A declaration of non-seizability can be cancelled if made during the six months preceding the insolvency date. Any payment made or any transaction entered into during the hardening period is also subject to optional voidance (that is, subject to the court's discretionary decision on petition by the administrator, the liquidator or the public prosecutor) if proper evidence is brought before the court that, at the time of the payment or transaction, the contracting party knew about the company's insolvency. When dealing with intra-group transactions, this knowledge is presumed for companies belonging to the same corporate group. Third-party rights, including bona fide third parties, can be affected by those voidance provisions. The 2014 Ordinance (applicable to pre-insolvency and insolvency proceedings since 1 July 2014) reformed the French bankruptcy law, with a view to favouring reorganisation at a preventive stage, strengthening the efficiency of out-of-court proceedings and increasing the rights of creditors in insolvency proceedings. One of the main features of the 2014 reform was the introduction of pre-packaged sale plan, namely the possibility for the court-appointed agent to prepare a partial or total sale of the business in conciliation proceedings, the sale of which will ultimately be implemented in safeguard, rehabilitation or liquidation. The major purpose of such procedure is to shorten the period during which the company is under bankruptcy proceedings so as to preserve the value of the business transferred. The first pre-packaged sale plan was implemented in June 2015 when the business and assets of NextiraOne, a spin-off of Alcatel-Lucent, were transferred (alongside all of its 1,400 employees) to a purchaser only one month after the opening of rehabilitation proceedings. Later in 2015, the business and assets of Fram, a French tour operator, were also transferred through a pre-packaged sale plan. The 2014 Ordinance also introduced a limited possibility to have a court-appointed agent vote at shareholder meetings if the insolvent company's net equity is not restored. However, some practitioners considered that in this respect, the 2014 reform missed its initial purpose, which was to allow a squeeze-out of shareholders through forced sale of their shares or forced dilution of their equity stake. Even though the enforcement of a debt-equity swap against dissenting shareholders when the equity has lost all value and conversion of debt is the only solution to preserve the business as a going concern is viewed as essential by most practitioners, squeeze-out provisions were not adopted in 2014, as they could be assimilated into the creation of a new right to 'expropriate'. This created constitutional law issues, which needed further review. The 2015 Bill sought to address this issue and provided for a limited squeeze-out of the shareholders in rehabilitation proceedings (see Section II). However, such squeeze-out remains untested to our knowledge. In addition, the 2015 Bill also purported to enhance the restructuring of 'large' companies and group companies through the creation of specialised commercial courts having jurisdiction to supervise insolvency proceedings opened against companies of a certain size or that feature multi-jurisdictional aspects; the extension of the jurisdiction of the same commercial court to group's subsidiaries or affiliates of a company under insolvency proceedings; and the obligation for the court, under certain conditions, to appoint at least two administrators and two creditors' representatives. As described above, the most active sectors in 2017 were the retail, food and agricultural, oil and gas, and tourism sectors. Although there has been a decrease in the number of insolvency proceedings in 2017, there were still quite a few active situations on the restructuring market with a surge in the number of sizeable and complex situations, many of them being listed companies. The most significant French insolvency cases of 2017 were the debt-equity swap of CGG (geophysics services) implemented through the combination of a safeguard plan in France and Chapter 11 proceedings in the US as well as the sale plans of Financière Turenne Lafayette, the holding entity of several food-processing companies, including William Saurin, and Necotrans, one of the major specialists in port operations and logistics in Africa. With respect to out-of-court and pre-packaged proceedings, the major situations of 2017 were the restructuring of Foraco (drilling services), Bourbon (shipping services) and Vivarte (apparel retailer) as well as the consensual debt-equity swap of Fraikin (rental of commercial vehicles). France has not adopted legislation based on the UNCITRAL Model Law on Cross-Border Insolvency. The recognition and enforceability of insolvency proceedings commenced in another jurisdiction depends on whether such jurisdiction is party to a treaty with France. As such, Regulation (EC) 1346/2000 on insolvency proceedings (the Insolvency Regulation) allows insolvency procedures in different EU Member States to be automatically recognised. Regulation (EU) 2015/848 of the European Parliament and of the Council of 20 May 2015 on insolvency proceedings (Recast) reforming the Regulation 1346/2000 only applies to insolvency proceedings to be commenced after 26 June 2017. If a company's COMI is in France, the main proceedings can be commenced before the French courts under the Insolvency Regulation. A company's COMI is presumed to be the place of its registered office unless it is proven that its COMI, as defined in the Eurofood decision of the European Court of Justice (case C-341/04, Eurofood IFSC Ltd), is in a country other than its place of incorporation, and that the company's trade and financial partners are fully aware that the COMI of such company is not its place of incorporation. Secondary proceedings can subsequently be commenced to liquidate an establishment's assets located in another EU Member State. Secondary proceedings under the Insolvency Regulation are also appropriate if a company has an establishment in France, but its COMI is in another EU Member State. the relationship with the lenders was initiated in France and the renegotiation of the financing documentation took place in France. If the Insolvency Regulation does not apply and insolvency judgments are made in a jurisdiction that does not have a treaty with France, they are not automatically recognised. Foreign judgments can only be enforced if they have been subject to an inter partes procedure known as exequatur, which is intended to verify that the foreign court had proper jurisdiction, international public policy has been complied with and no fraud has taken place. Such exequatur process usually takes a couple of months, excluding appeal, which could lengthen the process. French bankruptcy law was reformed in 2014, 2015 and 2016. In 2016, a prospective reform of French insolvency laws was initiated further to the proposal for an European Directive published by the European Commission on 22 November 2016, which should notably provide for the possibility, subject to certain conditions, of imposing on dissenting classes a reorganisation plan that was accepted by one class of creditors only, similar to what is provided for in the context of a US Chapter 11. 1 Joanna Gumpelson and Philippe Dubois are partners at De Pardieu Brocas Maffei AARPI. 2 Based on statistics published by Banque de France. 3 Please note that the French insolvency test is a pure cash-flow test (in contrast to a balance-sheet test) where a company is deemed insolvent when it is unable to meet its due debts out of its available assets (i.e., those in the form of cash or those that can be quickly turned into cash), taking into account undrawn committed facilities and other credit reserves and moratoriums or standstills accepted by creditors.